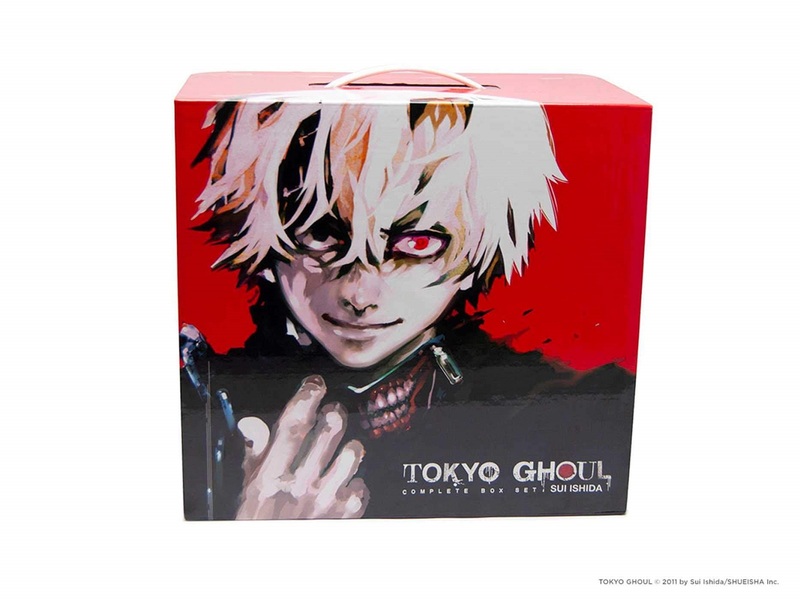 The Tokyo Ghoul Complete Box Set contains manga volumes 1-14 plus an exclusive double-sided poster, and features story and art by Sui Ishida. 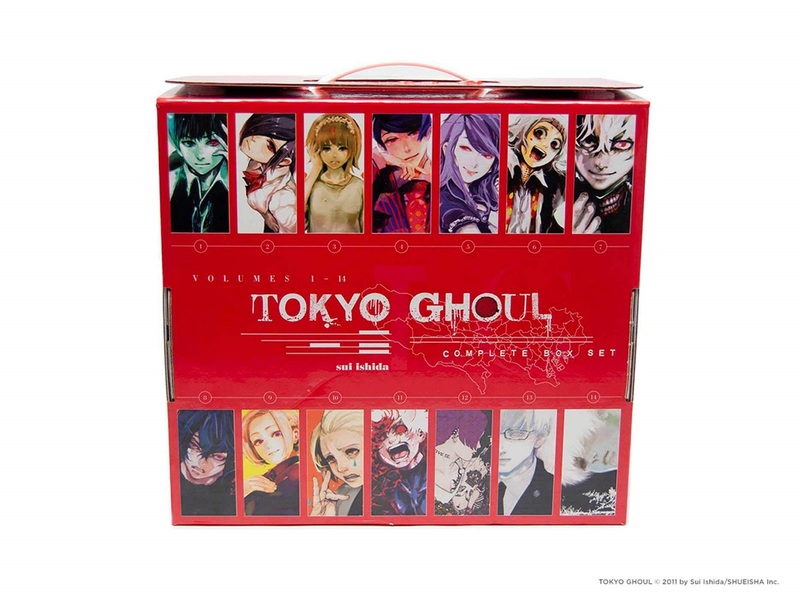 Really nice box-set containing all 14 volumes, but disappointed with the lack of extras. It just comes with an extra poster. 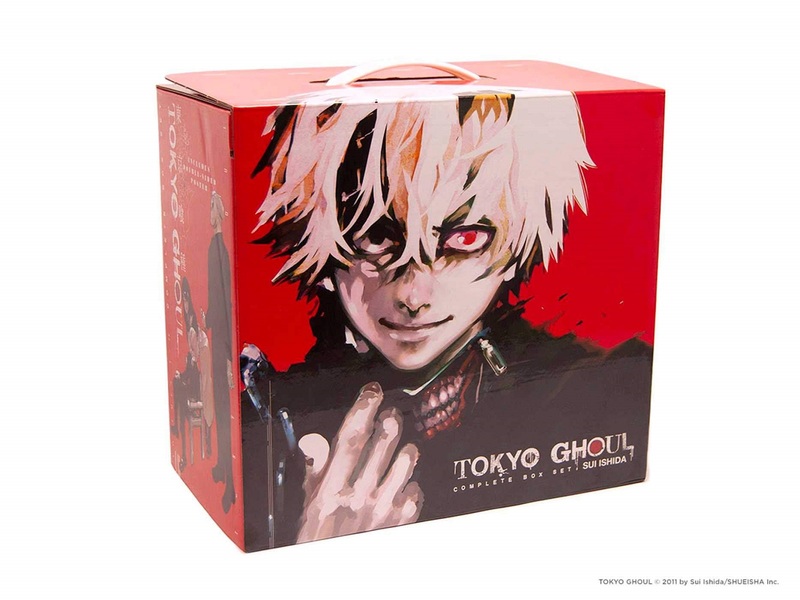 No extra booklets, or art book that usually come with most manga box-sets, but I must say.. For the price, it's worth it. Amazing artwork on the box, and inside of the box also has some artwork as well! Sadly the flap that folds down to reveal whats inside doesn't have artwork on it, it's just plain white. Still, great value. Package not damaged, however the books have slight rips from a box-cutter. Nothing too dramatic, but for a collector it would probably be kind of annoying. The scratches themselves are barely noticeable, and unless you're looking for them you wouldn't find them. 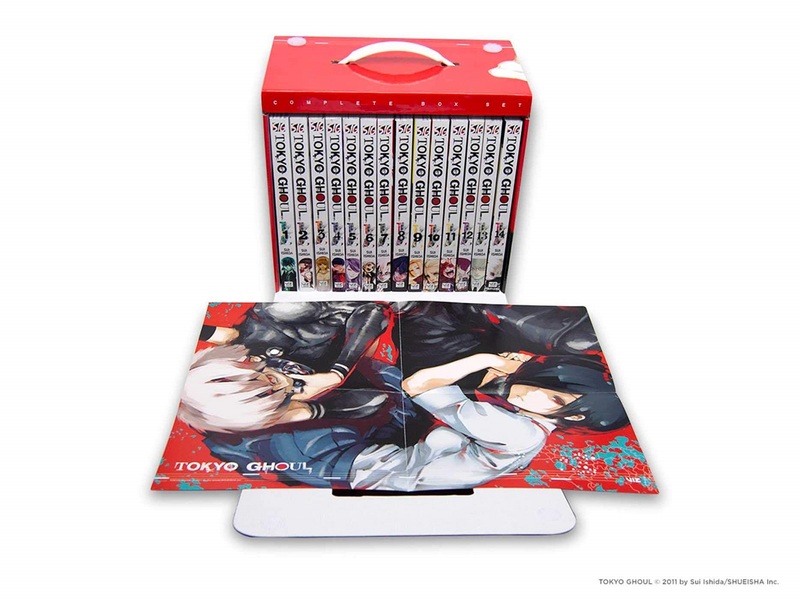 Overall I can't blame Rightstuf because my Death Note box-set from Amazon had the exact same damage, but worse. So I guess it's just one of those things... sadly. This is a great for the money! This box set was absolutely amazing!!! 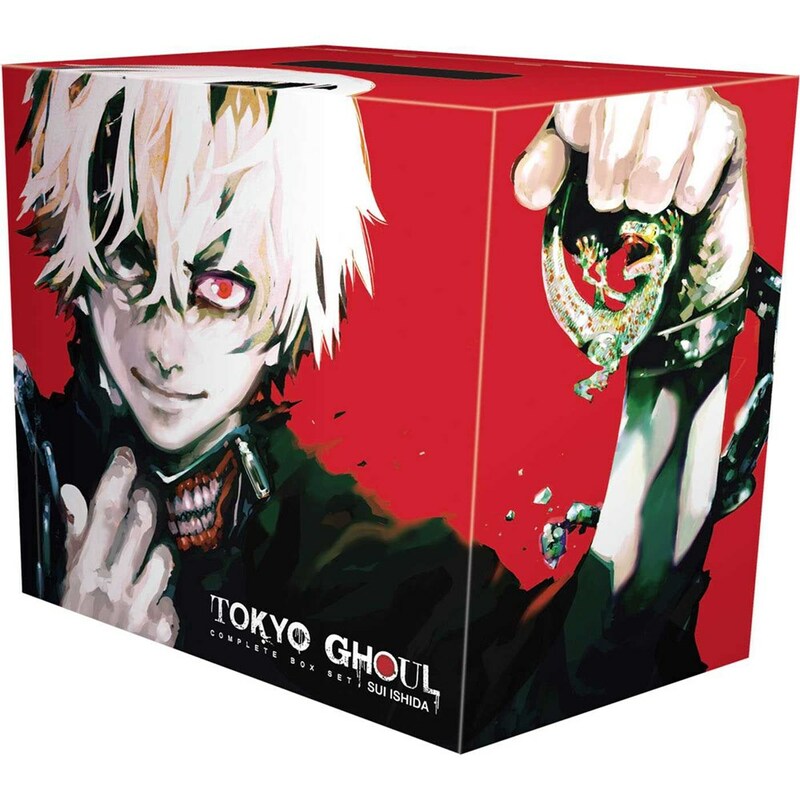 If you don't already own all of Tokyo Ghoul then I would recommend that YOU GO BUY THIS RIGHT NOW! The manga and the box set it came in is pretty amazing and it's hard to criticize the box set, but I am disappointed that this box set was not fully fleshed out as other collectors edition such as with the Akira boxset. I can see where they had to rush the release by not including extras, but overall, I'm still satisfied with the product.